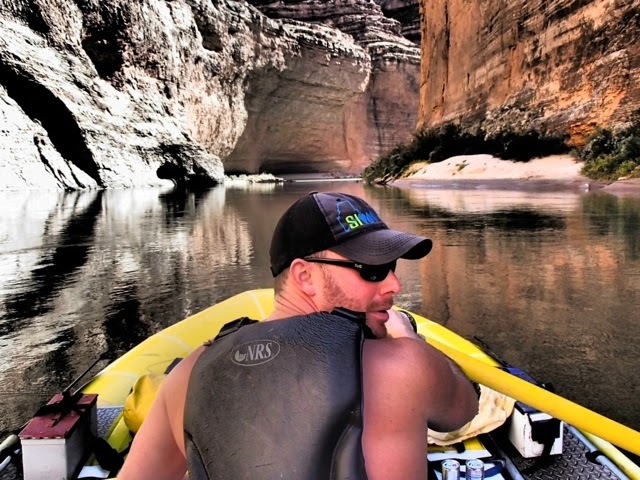 DBP MAGAZINE ONLINE PRESENTS: Spotlight on an Original Dirtbag: "TheOne-Armed Explorer" by M.Toughill | DBP MAGAZINE ONLINE The World's Best Free Whitewater Publication. Every month DBP high lites the life of another person from history who helped create the world of whitewater we now enjoy. We are pleased to point the Spotlight this January on JW Powell. ENJOY! 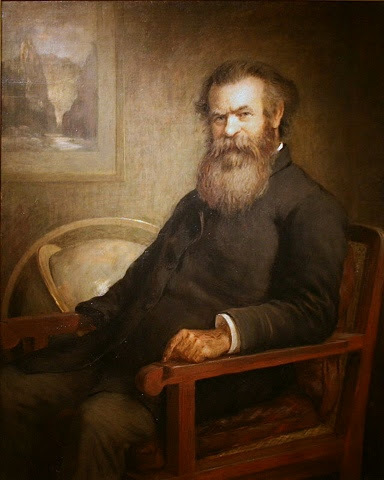 Major John Wesley Powell was an incredibly strong, self-willed man, a man who feared nothing, a man possessed of purpose, an American in every sense of the word. After losing his right arm, his writing hand arm, at Shiloh, the bloodiest battle of the Civil War, Powell had returned home to become a geology professor and to ponder his future. Unlike many of his fellow veterans disfigured by war, the 35 year old ex officer did not turn to self loathing or pity, give in to the pain or waste away pining for what might have been. Instead, this diminutive man (5 feet 6 1/2 inches and 120 lbs) set his sights on the exploration of the Colorado, and the first descent of the Grand Canyon. Powell was an amateur explorer who emptied his own meager bank account to fund the expedition into the American Southwest, an area as large as any state in the union or any country in Europe marked simply “unexplored” on the map. The locals knew the region was desolate and arid, they knew the Colorado flowed through it, that the land was cleaved with canyons, and that the Spanish conquistadors had reported one canyon more massive in scope than any other on earth, alternately referred to as the Big Canyon, Great Canyon, or the Grand Canyon. Beyond this knowledge was pure speculation. Whispered rumors of waterfalls bigger than Niagara and holes where the mighty river vanished underground abounded. No one knew exactly what lie ahead. To design his own boats (he had paddled the rivers of the upper Midwest before the war), to gather a crew (even though he was an unknown who had never been out West), to conquer his own limitations of body (with only a stump of an arm he couldn’t row, bail, line or portage), to succeed where no man yet had succeeded before, these were the challenges Powell embraced when he began to form the Colorado River Exploring Expedition. But as the four wooden boats, the EMMA DEAN, KITTY CLYDE’S SISTER, MAID OF THE CAÑON, and NO NAME, powered by a hardy ten man crew, pushed off onto the Green River at Green River Station, Wyoming on their way to the Colorado, the Major could smile to himself and know that the hardest part, the getting started, was done. From here on, it was simply FOLLOW THE RIVER WHERE SHE GOES…. JW Powell did have some experience paddling the rivers of his home in Illinois before losing his arm in the war, but nothing that would prepare him for running rapids, let alone those of the scale he’d find on the Colorado. In fact, there was very little in the way of boat designs in 1869 to look to for choices, and no one could say what exactly the explorers would be facing. So , of all the choices possible, Powell chose the Whitehall. It’s amazing he and his crew survived. The Whitehall boats were designed in the 1820’s for use in harbor of New York City, a heavy, sturdy round bottomed craft. Dirtbags know what this translates into in whitewater: rugged, but tippy and hard to maneuver. Compound this with the fact that with ten men (one being Powell with only one arm!) to be split between four boats at the start, there would have been no sweep oarsman. It’s hard to imagine they made it without eventually adopting a sweep to aid in steering the Whitehalls, but neither Powell or the others ever answer this question either way. We will never know for sure, but I think Powell must have come to the conclusion that they couldn’t make the moves necessary to drive their boats around the massive holes of the Grand Canyon. Imagine the two oarsmen, facing rearward, cranking on their oars with the helmsman at his sweep calling out the commands! The Major wore a primitive life jacket, and would have had to devise some sort of strap to sling his stump through while manning the sweep in order to stay in the boat through the heavy waves, for a swim would probably mean death. No wonder the expedition would end up lining and portaging whenever they could (62 out of the 476 “bad rapids”) and floundered so often when they could not. Battered and beaten, only the KITTY CLYDE’S SISTER and the MAID OF THE CAÑON would make it to the end. The men The Professor and his brother Walter selected were also a hardy bunch, as rugged as the boats but a good deal less tippy. They grew to resent their hard leader and his autocratic ways, and like their watercraft they were not the best design for the job, and not all would make it. Of the ten men starting in Wyoming, only six would finish, but surprisingly none drowned considering the journey. One man quit early in the trip, and not unlike the boats themselves, three men and one boat quit the trip (Powell’s original lead boat THE EMMA DEAN, named for his wife, was abandoned) almost at the very end, the men walking off to an unknown fate. Two of the crew in particular are worth mentioning here, as much for their writing as their river running. George Bradley, a tough little man who like the Powells was a Civil War veteran, thankfully for students of history kept a secret diary which proved to be a more accurate and detailed record of the descent than even Powell’s. The other was Jack Sumner, who although outranked by Walter was really the second in command and the man who really recruited the men of the expedition. His writing was more biting than Powell’s, finished with the words “I never want to see it again anywhere. Near the Grand Cañon it will probably remain unvisited for many years again… I find myself penniless and disgusted with the whole thing.” He would have nothing but contempt for The Major, whose life he had saved twice on The River. John Wesley and Walter Powell were the unquestioned commanders of the expedition. The Major was a hard man, brave and driven, intelligent and animated. He was impetuous enough to come up with a plan so bold that his contemporaries thought he was a suicidal maniac, yet so careful that he portaged rapids that the men wanted to run. He was possessed of much strength, which combined with his fierce temper could make him a dangerous man. He was fierce in his devoted to his brother as well, almost shooting Billy Hawkins after receiving a pummeling at the man’s hands (he had challenged Hawkins when the other man called The Major a cripple). Walter’s no nonsense way of bull dozing others, perhaps influenced by his trials in war – which would eventually land him in the asylum – was resented mightily by the other men. The river commanded them all however, and almost killed them both. 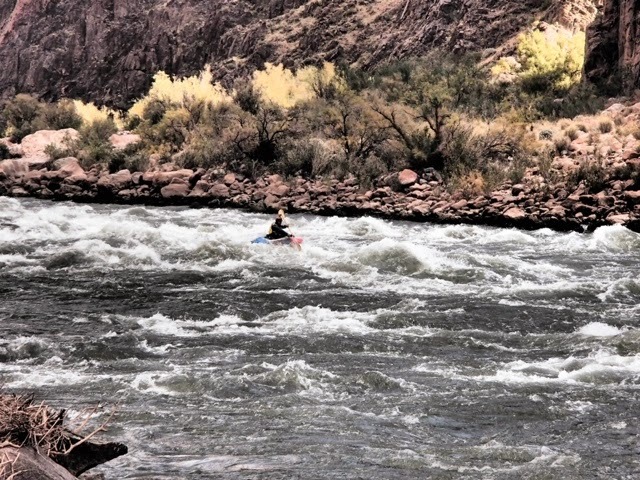 Walter escaped death at the oars of the MAID in the Cañon of Desolation, only saving himself at the last second by paddling away from the right cliff in the “old roarer.” The Major had taken a serious swim the day before. A man with only one arm, even an athletic one in a lifevest, was pushing it in these powerful currents. George Bradley, who himself endured a nasty Wallace in the canyon, wrote “Major has got his match.” And all of this happened while they were still on the Green River! The Colorado would make all that had come before seem small in comparison. 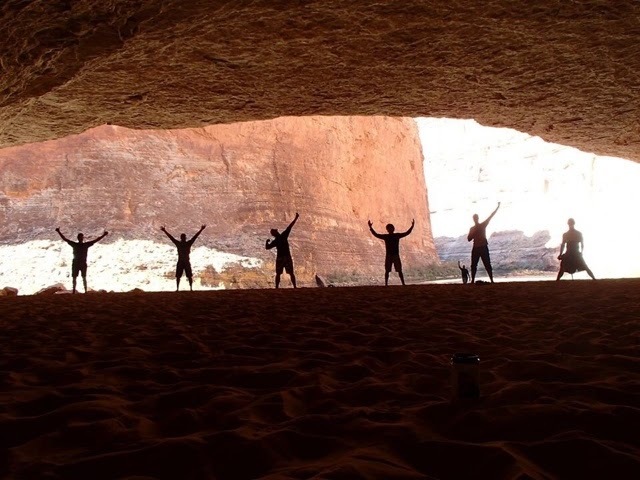 The fact that as they began their descent into the Grand Canyon they knew not whether it would be continuous rapids, or massive Niagara-like waterfalls, with little or no beach to land and portage on, makes the journey that much more impressive. The Professor was enamored by all that his eyes took in. “The waves are rolling, with crests of foam so white they seem almost to give a light of their own. Near by, a chute of water strikes the foot of a great block of limestone, fifty feet high, and the waters pile up against it, and roll back. When there are sunken rocks, the water heaps up in mounds, or even in cones. At a point where rocks come very near the surface, the water forms a chute above, strikes, and is shot up ten or fifteen feet…” Today these features are defined and explained by dirtbag paddlers, but in 1868 his scientific observations were new, creating a system by which what appeared to be random chaos could be understood and predicted. This fact is often lost on today’s river runners. The rapids Powell was describing in Cataract Canyon are numbered, and his expedition had arrived at numbers 21, 22, and 23 – the worst rapids of all. Also known as Big Drop 1, 2, and 3, they are immense rapids with gargantuan boat eating holes. The men tried to run Big Drop 1, by sheer luck losing only an oar from the EMMA DEAN, and on Powell’s orders they once again returned to their lining and portaging. It is easy to think of the Grand Canyon as the ultimate adventure today. Born into a world where all has been conquered, from the highest mountains to the mightiest rivers, it seems a foregone conclusion that everything must eventually be explored, and in hindsight the task seems legendary but within the grasp of Man. 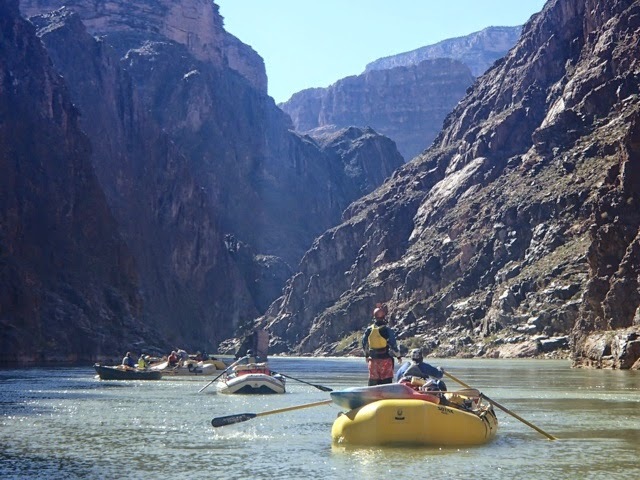 Today millions of people from all over the world visit Grand Canyon National Park each year, and 15,000 people paddle the river. 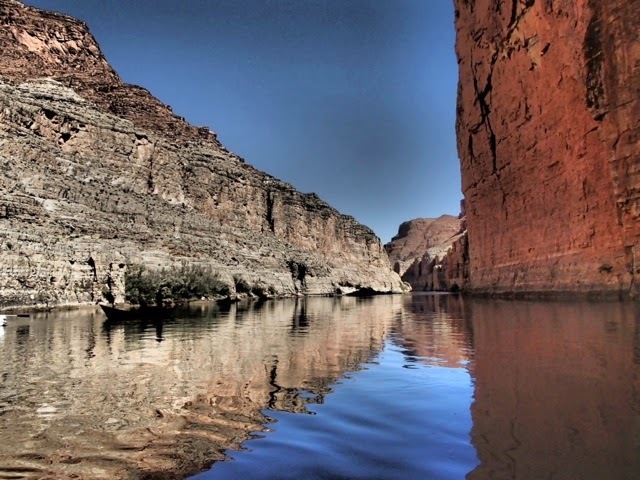 But 150 years ago, Major Powell’s trip by wooden boat was a first descent of the highest magnitude, an impossible feat through an impassable canyon. Most everyone with an educated opinion on the subject believed the lieutenant’s appraisal. It is possible that a local prospector by the name of James White may have escaped an attack by Native Americans on his party (which killed his companions) by riding a log raft. He was found 100 miles downstream, yet his rescuers claimed he had floated all the way down the Grand Canyon; he didn’t know where he was and the feat is discounted by most historians. Before Powell’s expedition the entire river above the canyons was unexplored, but the race was on. Another would be explorer, Samuel Adams, like Lt. Ives, attempted first to ascend the river by steamboat more than once. Then, after lecturing Congress (at about the same time the Major was preparing to set out) on the feasibility of the river for commerce, “The Colorado must be, emphatically, to the Pacific coast what the Mississippi is to the Atlantic,” Adams with an expedition of eight men and four boats set out on the Blue River in Colorado, intent on proving his theory. 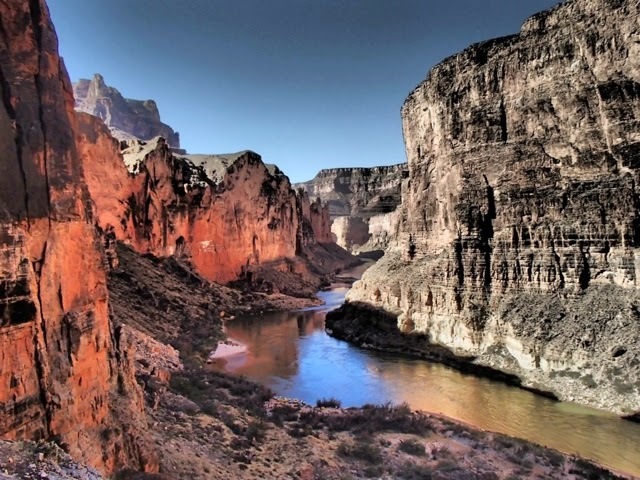 Upon reaching Gore Canyon (famous among today’s boating community) all of his boats had been destroyed in the rapids, and he declared that nothing in the Grand Canyon could possibly surpass the powerful rapids and height of Gore! He continued on, and in total four boats, four rafts , and eight men were lost, and Adams and three survivors stumbled out of the Grand Valley about the same time that Powell emerged victorious. Oddly enough, Powell and his men were believed to be dead. The Chicago Tribune reported on July 3, 1869, “Twenty-one Men Engulfed in a Moment.” All but one sole survivor, who had returned to Springfield, IL to tell the tale, had drowned. The man was obviously a con, but that was not realized for months, and the news of the disaster made bigger headlines than the launching of the expedition had. Then two innovations occurred that revolutionized river running, and the impossible began to become possible. First, boat designs were corrected. The heavy round bottoms boats favored by early explorers were jettisoned in favor of lighter flat bottomed crafts, reasoning that maneuverability (the flat bottom turns much faster) and weight (Powell’s heavy boats, reinforced for strength, took four men to be carried empty) would allow boatmen to dance down river dodging holes and ferrying across rapids. The modern Dory was born. Second, Than Galloway turned his boat around to face the rapids to see where he was paddling. The Powell expedition, with such heavy craft, featured two men pulling at oars, facing to the rear while the third man (the Major in his boat) called commands. What seems so obvious, facing downstream to see where you’re going, was unheard of at the time. When Galloway, in the lighter boat that he could self propel, turned to read the river, he changed everything. However, not until he made a successful journey through the Grand Canyon in 1909, followed by the Kolb brothers in 1911, did the technique become popular. Looking back through the lens of time, it is all the more amazing that JW Powell and his men accomplished that first journey in the boats they chose with the techniques of the day. Very few men could have pulled it off. There were no photos taken of the boats or on that first journey, so we don’t know everything about how they accomplished their mission, and the journals were reckless with the truth and mostly written after the fact, but it remains one of the greatest feats in the annals of exploration. Major Powell would hardly recognize his River or his Canyon today, if he could be transported 150 years into the future to see the changes his exploration had wrought. The Colorado is nothing like the wild lonesome river that he and his companions scored a first descent on. Now it has been tamed and ruined by dams, and drained off by irrigation feeding the millions of people living and growing produce in an area deemed an inhospitable desert in the 1860s. Hardly any water makes it to the ruined delta where the river once flowed to empty into the Gulf of California. The mighty dams have changed the river even more. No man of the 19th Century could have conjured the sheer size of Hoover Dam, or the amount of electricity produced by the behemoth. The Major would be shocked to learn that Separation Rapids, which was the most perilous of all the rapids taken on by the Expedition, (recall that the decision to continue on here sealed the fate of the three men who deemed the journey too perilous and so walked away from the expedition and on towards their deaths…) now lay slumbering beneath the depths of Lake Mead. The fate of Glen Canyon and the Escalante River canyons, buried beneath the waters of Lake Powell, would startle and sadden him, I like to think. When Rainbow Bridge, the largest natural bridge on Earth, is finally collapsed due to erosion caused by the water of this forsaken man-made lake, after spanning for millennia the mighty Colorado, we will all be held accountable by the Major and his men. The members of the Expedition would have been astounded, and I believe pleased, with the river traffic. Thousands of Dirtbags gaining employment pushing customers by the scores on commercial raft trips down the Green, the Yampa, and the Colorado itself; and even more the true Dirtbags on private missions which are the pinnacles of their own boating adventures; these things would amaze the men for whom the same rapids were anything but recreational. They would have loved the kindred paddlers of the dories, and surely Powell would have asked himself, “why didn’t I think of this design?” yet I’m sure he’d never admit it. And the dry boxes and bags filled with preservable food and cold drinks!!! These would have drawn the envy of them all even more than our modern PFDs. 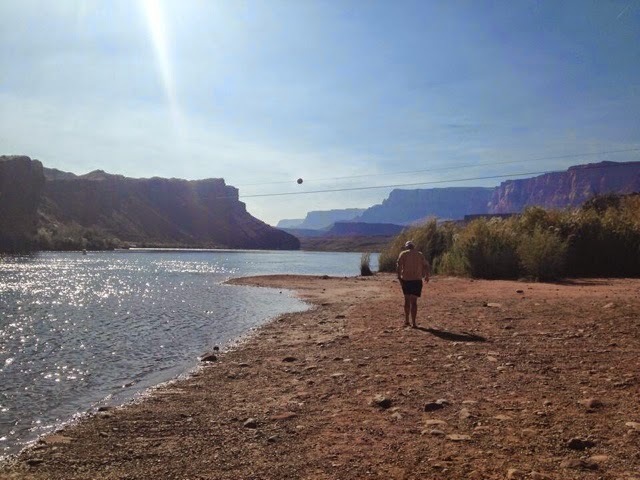 Serving the Grand Canyon river guiding community since 1995. 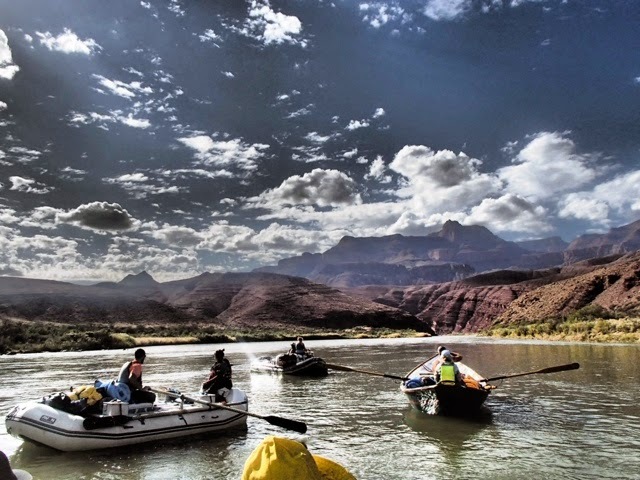 Mission: The Whale Foundation provides confidential access to mental and physical healthcare professionals and a network of support services designed to restore, promote and celebrate the well-being of the Grand Canyon River Guiding Community.